The need for electrical power in today’s world is almost unavoidable. Everything from lighting in homes to cellphone batteries are in constant need of some sort of electrical current or charge. If you find yourself in a power outage, or are simply in a location that lacks an electrical outlet or grid, you are often out of luck. Products such as portable generators and chargers were designed to address situations like this. That’s all well and good, but what about when the gas that powers the generator or pre-charge in your device runs out? Solar generators are the solution to all of the above. Solar power is becoming an increasingly used power source in the U.S. and abroad. Improvements in technology have allowed the same science that powers large-scale solar power plants to be used both at home or on the go, depending on the type. These solar generators now come in a variety of models and types, and are manufactured by numerous companies. Read below to find out more about solar generators, how they work, and what to look for when purchasing one. 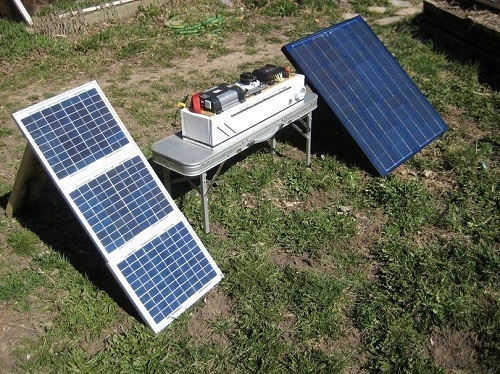 Solar generators are actually a combination of a few components. The solar power process begins with attaching solar panels to the generator to gather sunlight. This sunlight is converted to electricity and sent to the generator. Inside the generator is a power pack or high capacity battery that stores the electrical power received. Since the electrical power created from solar panels is direct current (DC) power, an inverter is required to convert the power to alternating current (AC,) which is the power type found in a standard plug-in outlet. 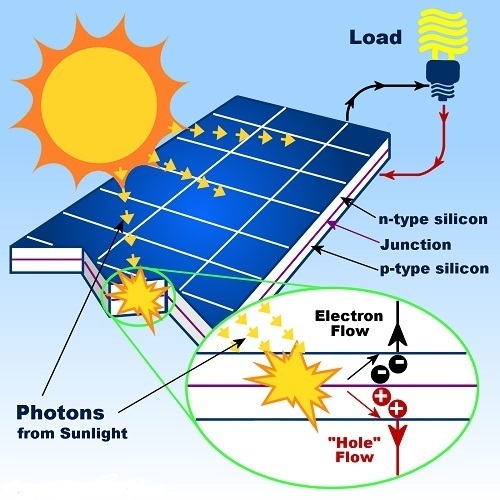 Solar generators are powered by the process known as the photovoltaic effect. During this process, the photon energy from the sun enters the panels, and causes electrons to be disrupted from their atomic orbit. This action creates electrical power, which is then sent to the generator. It’s as simple as that. The generator then becomes a power source when the battery is charged with this electricity. As long as the battery has power, the generator can supply electricity through various outlet ports that are connected to the battery. Although solar generators are able to be powered by solar panels, they are almost always able to be charged by an AC or DC outlet as well, allowing you to have a full battery before needing to use solar panels to recharge. This is helpful when keeping a solar generator for backup purposes. Solar generators vary in their features and uses, but they can be grouped into two main classifications that are easily usable without having to have an entire solar power system installed in your home or building. These types of solar generators are used as an emergency backup for homes in the event of a power outage. Solar backup generators are generally very high in their wattage capacity, and usually have more than one battery inside to increase power storage. Solar backup generators can usually power the essentials of your home such as lights, small to mid-range appliances, televisions, fans, computers, and more. The duration of the battery depends on the devices being powered, but expect to get a full day’s usage when powering smaller devices and appliances. Solar backup generators are the most powerful generators you can have without a full system install. Their high battery capacities and wattage capabilities can keep your home running the essentials for long periods of time, and they often feature multiple AC outlets. When using high wattage solar panels with these generators, you can expect to fully recharge your generators in a day or two, depending on available sunlight. This provides a way to constantly keep energy flowing to your home, even in prolonged outages. These generators also offer a greener method for keeping your power up and running. 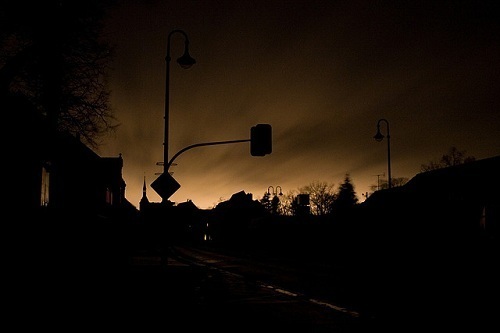 Other backup generators are powered by fossil fuels such as gasoline and propane, and are often very noisy, which may be a little annoying for your neighbors. Fossil fuel generators emit Co2 into the air, which means you have to leave them outside and in a ventilated area. This results in the need of extended power cords to reach your home. Solar backup generators can remain in your home, as they are almost completely silent, and have zero emissions. You can plug in devices directly to them inside your home, or run cords off of them. Solar backup generators are usually fairly heavy, and can be difficult to move around when necessary. 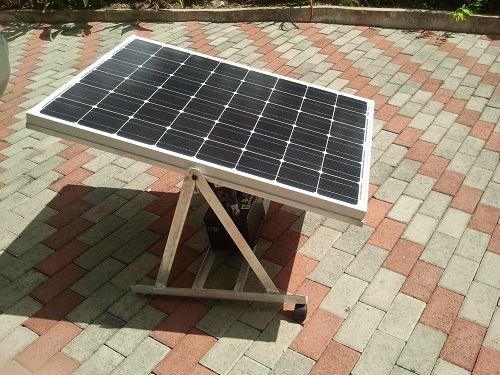 Although they can be hooked up to a solar panel in a simple manner, you may still have to move the generator to a strategic location that allows the solar panel to reach outside. You can also expect to spend a substantial sum of money to acquire solar generators that perform on a level equal to their propane and gas-powered counterparts. Multiple solar panels may be needed to provide the generator with a full charge each day, which can also increase the expense. If you want a dependable way to ensure that you have power in an emergency, these generators are the way to go. Although they are a bit of a pain to move at times, solar backup generators can keep essential components of your home functioning throughout the duration of an outage, saving you from having to buy extra fuel, deal with noise, or be endangered from harmful Co2 emissions. With a basic knowledge of electricity and a few high-powered, well placed panels, you can be have the comfort and security that comes from knowing that you will always have power in your home, regardless of how your power grid is functioning. That alone is worth the price of these units. 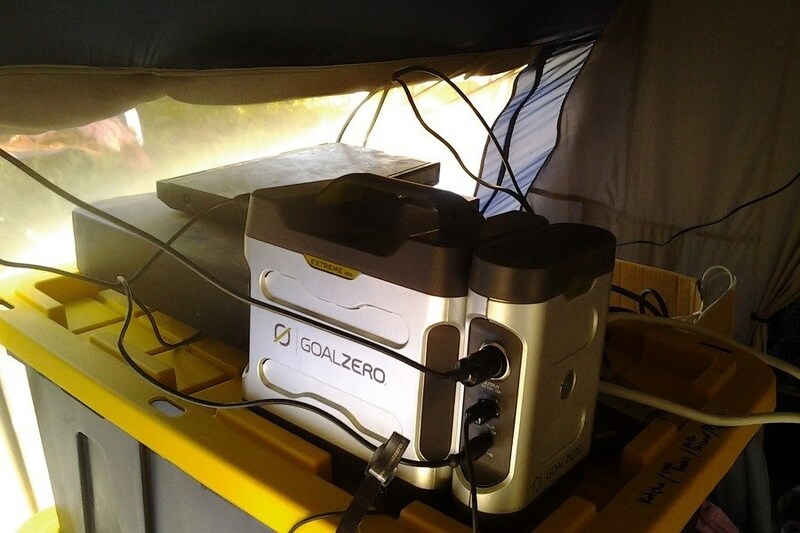 Portable solar generators allow for you to have the power of renewable electricity while on the go. These units are often much lighter than backup generators, and are also easy to carry around, pack, and store. These generators are extremely useful for camping, outdoor events, or even as smaller backup power sources themselves. 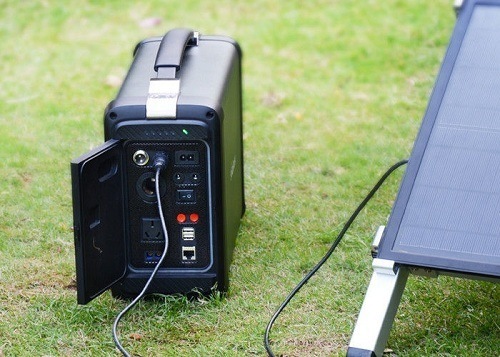 Portable solar generators do feature a lower wattage than backup generators, but are still able to power and recharge items such as lights, smartphones, tablets, small appliances and portable televisions, and more. They can sometimes be used to jump start vehicle batteries as well. 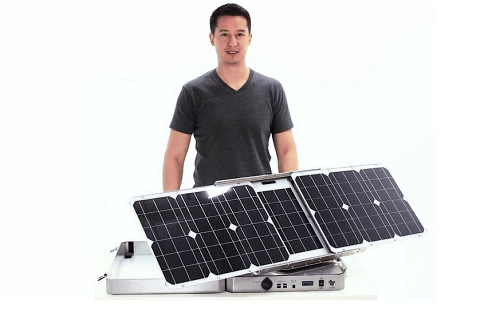 Portable solar panels are often paired with portable solar generator as well, which allows you to have a fully mobile kit that is easily transported. These generators offer numerous benefits not found with other types of gas-powered generators, or even portable recharges. 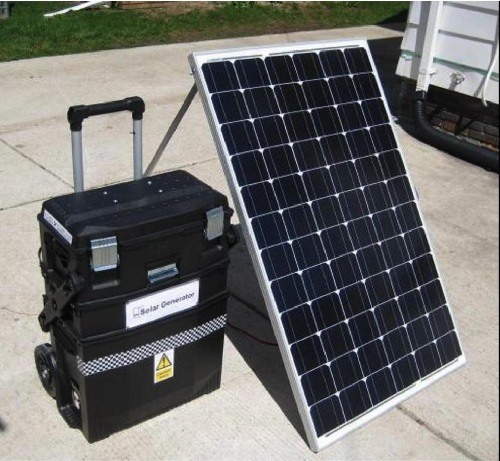 Portable solar generators are mobile by design, which can include a luggage-like pull handle, or a simple handle in top for smaller units. Some of the smallest portable solar generators feature a modular design, and can be neatly stored away. Larger models often resemble a standard-sized ice chest with two back wheels, and compact to take up minimal space. Although not as powerful as backup generators, portable solar generators are still able to power essential devices for long periods of time while in use. They are highly effective as phone, light, and tablet chargers, and can usually power and charge laptops multiple times as well. Portable solar generators can often be charged via AC outlet, or even with a car adapter as well. Once the power is gone, the solar panels can effectively recharge the generator’s battery for use the next day. Some other uses of these generators can include light setups for nighttime activities such as volleyball, powering a large boombox or sound setup for an outdoor event, or a small coffee pot during a campout. These generators are also popular for RV use, allowing you to have power for devices without needing to hook up to an outlet or find an RV park. Like their backup generator counterparts, portable solar generators can be a bit lacking in the wattage area for larger devices and appliances. While they can power some bigger items, don’t expect to do so for very long. 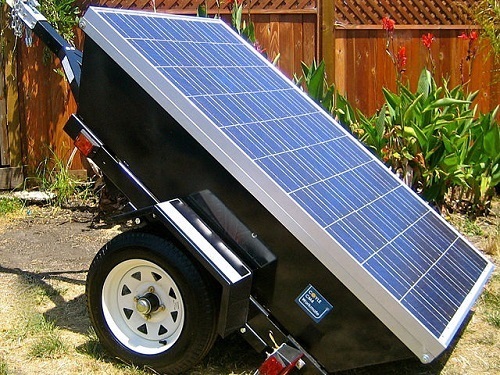 Portable solar generators can also take an extremely long time to charge when using smaller panels. Heavy users that are dependent on a daily recharge while outdoors may need to purchase expensive panels, sometimes more than one. Portable solar generators are an effective and convenient way to ensure power in even the remotest of areas. These generators aren’t going to power your freezer all day, but they will certainly recharge your phone and laptop dozens of times in between charges, while also supporting simple light setups and other small appliances. These generators are usually small enough to keep in the trunk of your car, and can be a great help in the case of an emergency on the road and at home. Serious campers and RV users will definitely appreciate the renewable aspect of these generators, along with the lack of any real noise output or fumes. Purchasing a fully functional solar generator set up requires obtaining multiple items. Solar panels, generators, and charge controllers are usually sold separately, which means more shopping around. 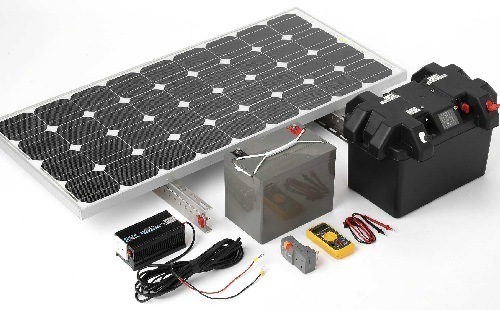 Solar generator kits solve this problem by grouping all of these things together in one package. Not only is this more convenient, the kits usually consist of corresponding products made by the same company. This means that your panels are compatible and optimized for your generator, along with the charge controller that prevents you from overcharging or damaging the battery. Some companies such as Goal Zero manufacture what are known as “recharging kits.” These recharging kits swap out a standard generator for a rechargeable battery pack that features multiple outlets for several different devices, and include high-powered solar panels for fast recharging in as little as 10 hours. There are plenty of choices out there when looking for a solar generator, so it’s helpful to narrow your choices down by considering these key elements. This is definitely one of the most crucial aspects to a solar generator. The higher the battery capacity, the longer your generator will work in between recharges. This can of course depend on the actual wattage you are pulling from your devices, but the rule of thumb is the higher the better. This one is a bit trickier. Inverters are what converts the DC power from the panels into AC power for standard plug-in devices. They also limit the actual wattage that can be used at one time. If a generator has a lower rating, you may not be able to power devices and appliances that require higher wattage amounts. Generators with inverter chargers offer an advantage as well. Solar generators equipped with these chargers can acquire battery power through other power sources besides solar panels. Backup generators aren’t designed to be hauled around from point A to point B, but it still helps to have one that doesn’t require three people to move around. Backup generators with wheels and extended handles provide a much easier moving experience. Portable solar chargers are supposed to be portable obviously, but some are more than others. Look for portable generators with strategically-designed handles, as well as lower weight totals. Square, stackable shapes are preferred as well. All generators have basic features and outlets, but some have even more. 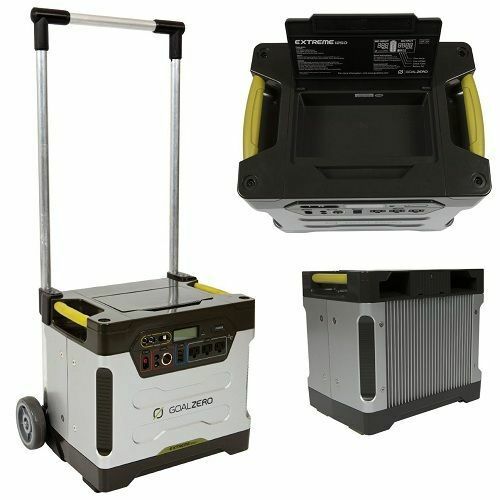 Several solar generators on the market include multiple outlets, including AC, DC, USB, and 2A for smaller connections. This allows you to power several devices directly without the need for power strips, or prong converters. Higher-end generators have other features too, such as built-in alligator clips for car batteries, built-in lights, electronic screens that help you monitor your battery use, and alarms that beep when the battery is low, fully charged, or experiencing a malfunction.